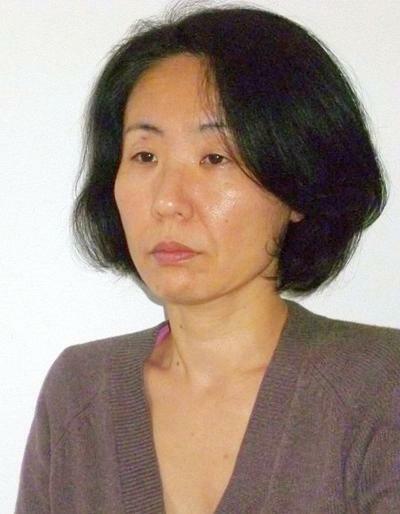 Dr Rie Sugimoto is Senior Research Fellow at the Institute of Sound and Vibration Research (ISVR) within Faculty of Engineering and Physical Sciences at the University of Southampton. She joined ISVR in 2003 and has been a member of the Acoustics Group (formerly Fluid Dynamics and Acoustics Group) and the Rolls-Royce University Technology Centre in Gas Turbine Noise (Noise UTC) since then. Rie obtained BEng and also MEng (two-year research degree) at Kobe University in Japan where she studied Architecture and Environmental Planning, and specialised in acoustics and numerical acoustics. She then joined Kobe Steel Ltd in Japan as a researcher in acoustics and worked for a wide range of noise and acoustics issues including infrasound from large industrial conveyors, booming noise in construction machinery cabs, noise canceller and switching system for speaker phones, with key responsibility for the improvements and applications of boundary element models and the development of noise proof and absorbing facilities for traffic noise. She pursued her interest in numerical acoustics when she moved to the UK in 2000 to take a position at Durham University on a three-year research project on the partition-of-unity finite elements with which she also obtained a PhD. She took a short-term appointment at Loughborough University to work on acoustic impedance modelling of an aperture with grazing flow in 2003, before moving to Southampton. Since joining ISVR, she has specialised in ‘duct acoustics’ research for aircraft engine noise, committed to computational modelling and validations of fan noise propagation and attenuation in turbofan intakes and bypass ducts and radiation to the exterior, acoustic liner optimisations, and complex three-dimensional effects on the fan tone noise. Rie Sugimoto is a member of the Institute of Acoustics (IOA), American Institute of Aeronautics and Astronautics (AIAA), International Institute of Acoustics and Vibration (IIAV), Acoustical Society of Japan (ASJ), Institute of Noise Control Engineering / Japan (INCE/J), Japanese Society of Mechanical Engineers (JSME), and Architectural Institute of Japan (AIJ). Rie’s principal research interest is in numerical and analytical modelling of acoustics and aeroacoustics for reducing noise. Her main expertise is in finite/infinite and boundary element analysis, duct acoustics and acoustic liners for aircraft engines, but she is also interested in other theoretical and computational approaches and their applications to real-world problems. Rie manages and coordinates duct acoustics activities within the Noise UTC, as well as conducting technical work and supervising research students. She has been working closely with industrial partners and involved in many EU and UK government funded projects including SILENCE(R), VITAL, OPENAIR, SAGE3-ALTD (Clean Sky), PARNAS [EU] and SYMPHONY, SILOET, HARMONY, SILOET II [UK]. Xiong, L., Sugimoto, R., & Quaranta, E. (2018). ACTRAN numerical study on the effects of intake geometry and length on fan tone noise propagation and radiation. FFT Acoustic Simulation Conference 2018, Toulouse, France. Sugimoto, R. (2018). Modelling boundary layer effects in ActranTM for tonal sound propagation in turbofan intakes. FFT Acoustic Simulation Conference 2018, Toulouse, France. Sugimoto, R. (2016). Coupling ACTRAN and other models for turbofan engine intake noise predictions. FFT Acoustic Simulation Conference 2016, Brussels, Netherlands. Prinn, A. G., Astley, R. J., & Sugimoto, R. (2015). Predicting the effect of flow distortion on in-duct acoustic propagation. Paper presented at 22nd International Congress on Sound and Vibration (ICSV22), Florence, Italy, . Rarata, Z., Astley, R. J., Gabard, G., Sugimoto, R., & Coupland, J. (2014). Predicting the effect of droop and flow distortion on intake fan noise. FFT Acoustic Simulation Conference 2014, Brussels, Belgium. Prinn, A. G., Astley, R. J., Sugimoto, R., & Rarata, Z. (2014). The Effect of Steady Flow Distortion on Acoustic Mode Propagation in a Straight Annular Duct. FFT Acoustic Simulation Conference 2014, Brussels, Belgium. Sugimoto, R., Murray, P., & Astley, R. J. (2013). Prediction of in-duct and near-field noise for a fan rig intake. 2022. Paper presented at 19th AIAA/CEAS Aeroacoustics Conference, Berlin, Germany. Rarata, Z., Astley, R. J., Gabard, G., & Sugimoto, R. (2011). Validation of a discontinuous Galerkin method for turbofan nacelle acoustics. 15th CEAS-ASC Workshop – 1st Scientific Workshop of X-NOISE-EV, Switzerland. Astley, R. J., Sugimoto, R., Achunche, I., Deane, E., Kewin, M., & Mustafi, P. (2010). Applying computational aero-acoustics (CAA) to turbofan liner optimisation. Paper presented at 20th International Congress on Acoustics, Australia. Astley, R. . J., Sugimoto, R., Mustafi, P., Kewin, M., & Achunche, I. (2010). Liner optimisation for turbofan ducts - towards a fully automated procedure. In Proceedings of 16th AIAA/CEAS Aeroacoustics Conference Reston, US: American Institute of Aeronautics and Astronautics. Sugimoto, R., Astley, R. J., & Murray, P. B. (2010). Low frequency liners for turbofan engines. Paper presented at 20th International Congress on Acoustics, Australia. Astley, J., Sugimoto, R., & Mustaphi, P. (2010). The application of computational aeroacoustics (CAA) to automated liner optimisation of turbofan ducts. Paper presented at 17th International Congress on Sound and Vibration (ICSV), Cairo, Egypt. Sugimoto, R., & Astley, J. (2009). A numerical study on multimode sound attenuation in lined ducts. In M. Pawelczyk, & D. Bismor (Eds. ), Proceedings of 16th International Congress on Sound and Vibration: Recent Developments in Acoustics, Noise and Vibration (ICSV16) Krakow, Poland: International Insitute of Acoustics and Vibration. Sugimoto, R., & Astley, R. J. (2009). A numerical study on the effects of three-dimensional features of a turbofan aero-engine intake on the far field noise. Paper presented at Euronoise 2009, . Astley, R. J., Achunche, I., & Sugimoto, R. (2009). Automatic liner optimisation for bypass ducts. Paper presented at Euronoise 2009, . Achunche, I., Astley, J., Sugimoto, R., & Kempton, A. (2009). Prediction of forward fan noise propagation and radiation from intakes. In Proceedings of the 15th AIAA/CEAS Aeroacoustics Conference (30th AIAA Aeroacoustics Conference) (AIAA 2009-3239). Reston, USA: American Institute of Aeronautics and Astronautics. Astley, J., Achunche, I., & Sugimoto, R. (2009). Validation of CAA prediction of noise radiated from turbofan intakes. In M. Pawelczyk, & D. Bismor (Eds. ), Proceedings of 16th International Congress on Sound and Vibration: Recent Developments in Acoustics, Noise and Vibration (ICSV16) Krakow, Poland: International Insitute of Acoustics and Vibration. Sugimoto, R., Astley, R. J., McAleer, C. R., & Achunche, I. (2008). A numerical study on multimode sound propagation in lined ducts and radiation to the far field. Paper presented at Acoustics'08 Paris, . McAleer, C., Astley, R. J., Holland, K. R., Sugimoto, R., & Kempton, A. (2008). Fan noise propagation within curved bypass ducts with 3D features. Paper presented at Proceedings of the 14th AIAA/CEAS Aeroacoustics Conference (29th AIAA Aeroacoustics Conference), . Astley, R. J., Agarwal, A., Joseph, P. F., Self, R. H., Smith, M. G., Sugimoto, R., & Tester, B. J. (2007). Predicting and reducing aircraft noise. Paper presented at 14th International Congress on Sound and Vibration, Australia. Sugimoto, R., Astley, R. J., Gabard, G., & Tsuchiya, N. (2007). Three-dimensional effects of geometries and acoustic treatments on bypass-duct noise. Paper presented at 13th AIAA/CEAS Aeroacoustics Conference (28th AIAA Aeroacoustics Conference), Rome, Italy. Astley, J., Sugimoto, R., Gabard, G., Tsuchiya, N., & Tsutomu, O. (2006). Finite element models for predicting the propagation and radiation of fan noise from turbofan engines. In Proceedings of Inter-Noise 2006 USA: International Institute of Noise Control Engineering. Sugimoto, R., & Astley, R. J. (2006). Numerical studies of modal scattering within turbofan bypass ducts. In Proceedings of Inter-Noise 2006 USA: International Institute of Noise Control Engineering. Sugimoto, R., & Astley, R. J. (2004). Prediction of multimode propagation and attenuation in aircraft engine bypass ducts. Paper presented at Proceedings of the 18th International Congress on Acoustics, . Sugimoto, R., Astley, R. J., & Kempton, A. J. (2004). Prediction of multimode propagation and attenuation in aircraft engine bypass ducts. Paper presented at Spring Conference of the Institute of Acoustics, . Sugimoto, R., Bettess, P., & Laghrouche, O. (2003). Special wave finite and infinite elements for the Helmholtz equation. 1011-1012. Paper presented at Spring Meeting of Acoustical Society of Japan, . Sugimoto, R., Bettess, P., & Laghrouche, O. (2001). Special wave finite and infinite elements for Helmholtz equation. Paper presented at International Congress on Acoustics, .